I am not a professional antenna design engineer, although I do have a background and degree in Electrical Engineering that has been useful in this project. In the early 1970s I retrained into the profession of dentistry, so I can’t claim to be current in the E.E. field. I can, however, give my opinion on how the antenna works from 30 years of experimentation with it in various configurations. Based upon on-air conversations, I know that there are areas of contention about how the antenna works, whether or not delay lines are as good as LC phasing networks, whether or not NEC2 antenna modeling programs are valid, etc. The E.E. PhDs can argue about the theoretical aspects of the antenna, I simply don’t have all the answers. The point of this effort is to efficiently distribute data to interested parties on how to build a functional two element, horizontal phased array for the 40 meter band that has proven itself over 30 years of service. 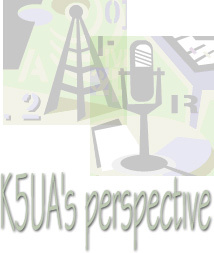 Some amateur radio operators have expressed their opinions that they do not believe software programs can accurately model antenna patterns. My response is … what else do we have? We can talk about what we believe, but the universally accepted NEC software programs are the only yardsticks we have. If there is good correlation about what we observe with an antenna in the real world and the patterns generated with the software, then we should have confidence that the modeling programs are reasonably accurate as a tool of investigation. Otherwise, we have nothing but speculation.